Description: A free customizable orange juice value stream map template is provided to download and print. 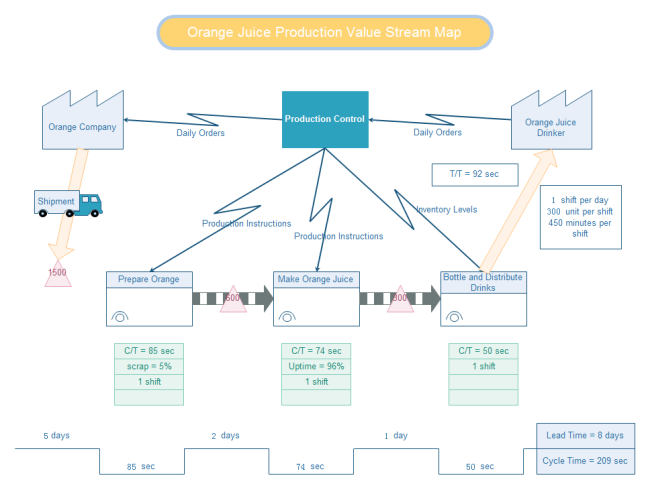 Quickly get a head-start when creating your own orange juice value stream map. Take this preferred methodology for identifying the inherent waste and losses within an operation.